Audi Q2 Interior, Sat Nav, Dashboard | What Car? 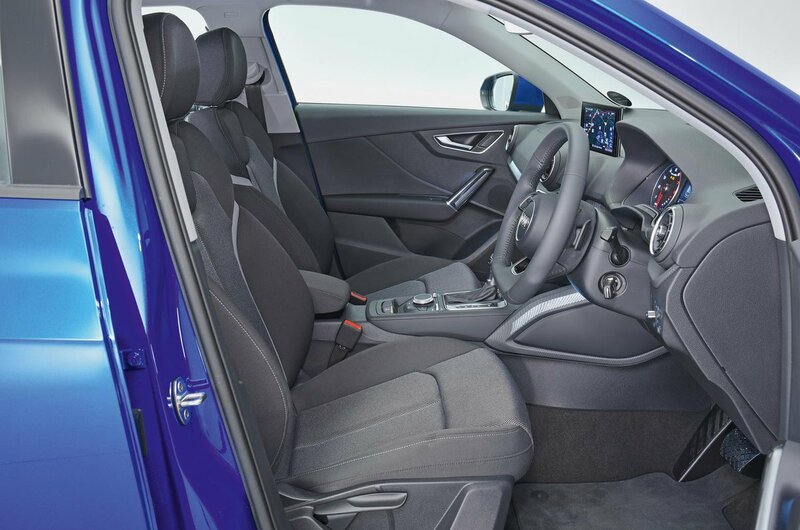 The seat itself is supportive and nicely aligned with the pedals, helping to keep you comfortable on a long journey. It's a shame that lumbar adjustment doesn't come as standard, though. Much of the dashboard layout is borrowed from the tried-and-tested A3, so the layout works well. The dials are easy to read, while the switches and button fall easily to hand. That said, some of the plastics and switches don't feel quite as plush the A3's. 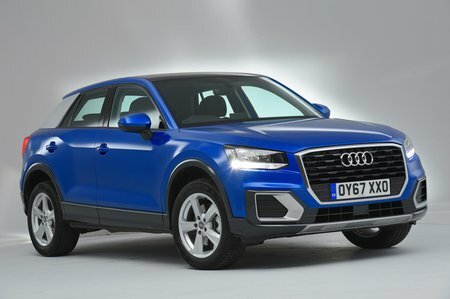 Even though the Q2 is a relatively small car, you still get the high-up driving position that most SUV buyers seek. This gives you a great view of the road ahead, aided by the reasonably slim windscreen pillars. The rearward view isn’t quite so good, because the thick rear pillars obscure over-the-shoulder visibility. Rear parking sensors come as standard and help mitigate this problem, while a rear-view camera is an expensive option on all trims. All Q2s come with essentials such as a DAB radio, Bluetooth and a USB port for charging your phone. If you connect a smartphone through the USB, you can also make use of Apple CarPlay and Android Auto, which allow you to operate your phone through the car’s infotainment system. Speaking of which, Audi’s MMI system is one of the best on the market. The simple rotary dial controller and shortcut buttons by the gearlever make it a doddle to skim through the menus. The interface is intuitive and the standard 7.0in screen, which sits atop the dash, is clear and easy to read. From mid-level Sport trim upwards, you also get sat-nav as standard. All models come with a multi-function steering wheel that lets you navigate the radio, telephone and driver information settings in the separate screen between the instruments. We’d recommend spending the extra to upgrade to Virtual Cockpit, which replaces the analogue dials with a 12.3in TFT screen. This puts lots of useful information, including sat-nav maps, just below the driver’s line of sight.